Europe had a huge rally today. England’s FTSE 100 was up 0.7%. France’s CAC 40 was up 2.1%. Germany’s DAX was up 1.0%. 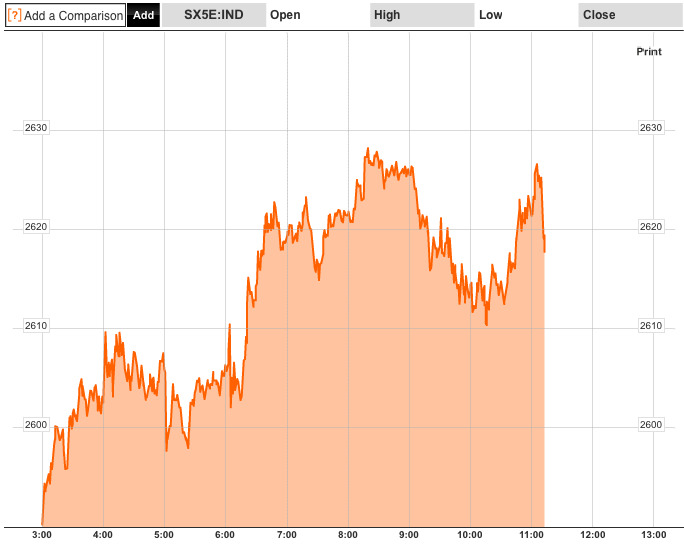 Spain’s IBEX was up 1.6%. Italy’s FTSE MIB was up 1.6%. This comes ahead of the huge Italian elections this weekend. The rally comes even after the EU slashed its euro area growth forecast for the year to -0.3 per cent from +0.1 per cent. Then again, the IFO institute told us business confidence jumped to a 10-month high in Germany, the largest economy in Europe.